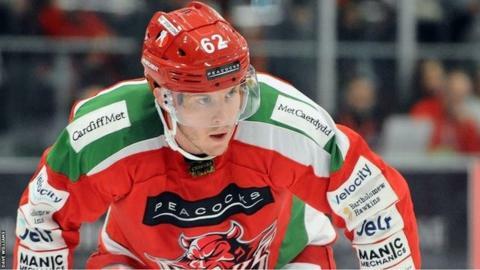 Cardiff Devils overcame Glasgow Clan for the second time in a week with a 4-2 Elite League away win. Mike Hedden opened the scoring for the Devils, with two goals from Stephen Dixon and one from Drew Schiestel giving them a commanding lead in the second period. Matt Becca pulled one back for the hosts, with Scott Pitt scoring in the third. Devils remain top of the Elite League with four games to go. They are back in action on Saturday when they host Manchester Storm, while Glasgow welcome Nottingham Panthers.